Pad thai rolls, Korean barbecue, modern Italian pasta, grasshopper pizza -- 2018 has been another delicious year in dining for Detroiters. This year’s cream of the crop in restaurants share a common theme of reinvention, growth, and expansion, with some chefs marking triumphant returns to the culinary scene and others expanding upon their already successful brands or striking out on their own with their first restaurants. Here are the best openings we saw over the last year. 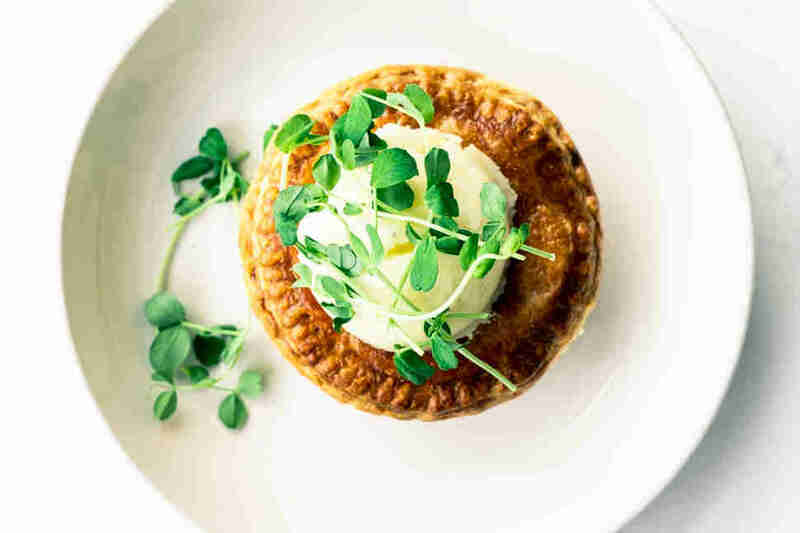 This cozy cafe breathes new life into stale avocado toast while offering breakfast and lunch dishes with global flair, such as a yogurt bowl with lychee jasmine chia and the Tigress Aussie meat pie. The flavorful comfort foods are all lovingly made from scratch, and are inspired by owners Rohani Foulkes’ and Kiki Louya’s respective backgrounds and travels. (Foulkes hails from Australia and Louya is a native Detroiter with Congolese and South American roots.) They not only believe in good food sourced from local producers, but also in fostering a good working environment for their employees; they’re also a no-tip restaurant because, because they make it a point to pay their workers a living wage. This is what a restaurant should look like in 2018. While Flowers of Vietnam is technically not new (it started in 2016 as supper club pop-up on the weekends at Vernor Coney Island), it reopened earlier this year after a renovation and expansion project and a staff trip to Vietnam, firmly establishing itself as a full-time restaurant. Chef George Azar, the son of Palestinian immigrants who grew up in the neighborhood, has worked for some of the best chefs in the world such as Grant Achatz and Rene Redzepi. The glossy Korean fried caramel chicken wings (albeit less sweet) and blue-collar diner vibes are still present, but now there is a bar area and expanded kitchen. Beef -- and tongue, and duck -- is what’s for dinner. With a name like Marrow, carnivores will be in beefy bliss at this West Village spot inspired by owner Ping Ho’s childhood memories of Singapore and her vision of returning to old-world practices of buying direct from local producers. Ho, who also owns wine bar The Royce downtown, found the perfect executive chef in Sarah Welch, formerly of Republic, to bring this vision to life. By day, Marrow is a butcher shop offering fresh cuts of meat like beef tenderloin and leg of lamb, as well as whole rotisserie chickens ready-to-go and silky pork rillettes that are on par with anything you’d find in France. 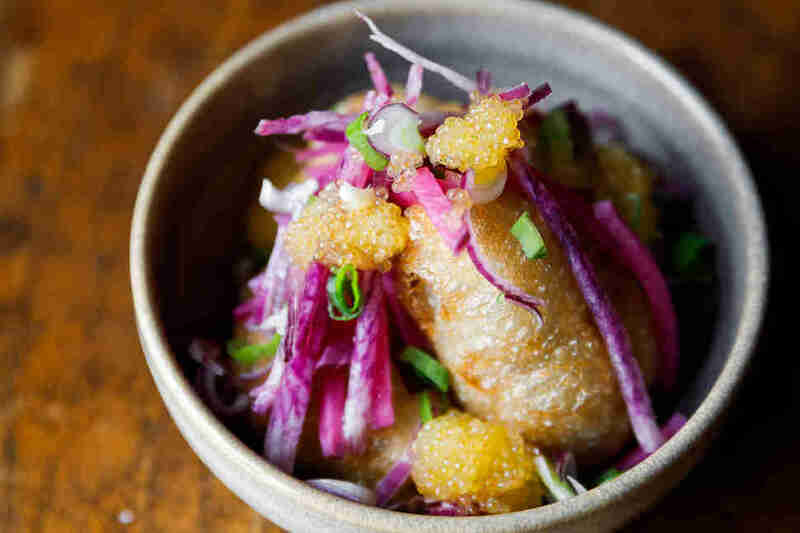 By night, it’s a restaurant with a flavor-forward menu featuring dishes such as dry-aged house beef with scallion pancake, and corned tongue with carrot mochi. If you’re a vegetarian, don't let this avalanche of meat scare you: There’s still plenty to feast on, like the mapo mushroom and romesco romanesco. 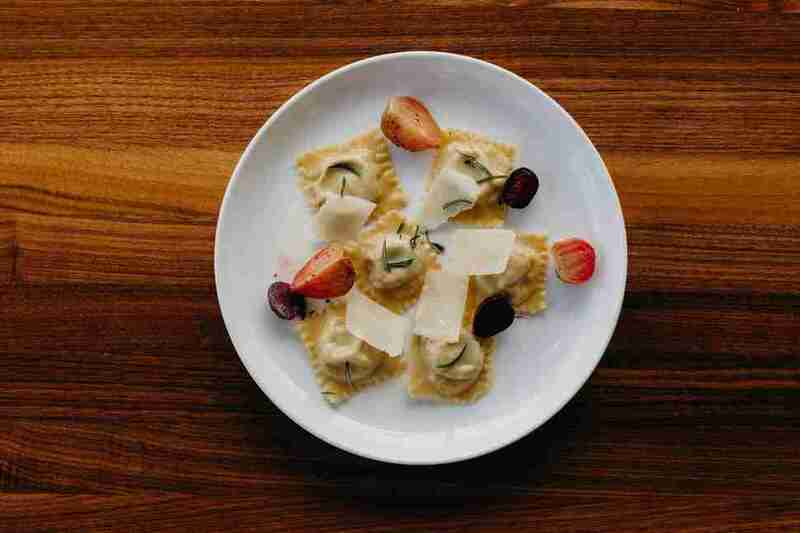 Fans of Torino will see a lot of similarities to chef Garrett Lipar’s former restaurant in Ferndale and his new restaurant at The Siren Hotel in Detroit, such as the unexpected flavor combinations (black garlic chocolate, anyone?) and Nordic style of cooking that showcases the Great Lakes. Named after Lipar’s grandmother, Albena feels a bit more personal; for example, a chicken dish might be artfully plated and paired with pickled gooseberries, but one bite transports you back to eating chicken salad sandwiches at Grandma’s. Vegetables like corn and tomatoes are prepared with restraint as Lipar coaxes maximum flavor out of each ingredient. There are only eight seats at Albena, so diners get an intimate look at how Lipar cooks, making them feel more like eating in his kitchen than a restaurant. From start to finish, it’s an experience worth the hefty price tag of $130 a pop. The former New Seoul Garden restaurant has been reborn as New Seoul Plaza, boasting three restaurant concepts in one location that’s reminiscent of Korean food courts in New York and LA. 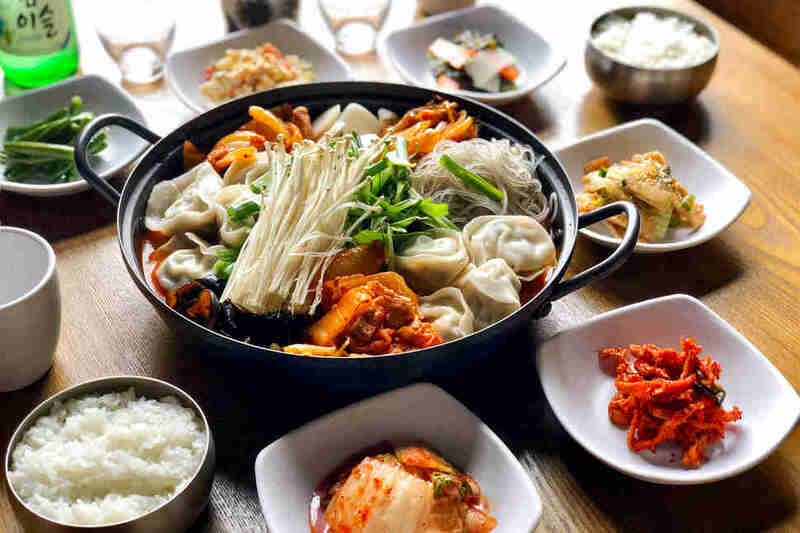 Jinji offers traditional dishes such as bulgogi, rice cakes, and stir-fried spicy squid and pork belly as well as more contemporary fare and shareable snacks such as chicken wings and dumplings. Daebak focuses on Korean barbecue, complete with grills built into the tables and hood vents directly above, so you can enjoy your dinner without leaving smelling like it. If you manage to save room after gorging on kalbi and hot pots, shaved ice desserts at Myomee (ranging in flavors from black bean to Oreos) provide the perfect sweet ending to a Korean feast. This aptly named hall brings an eclectic mix of cuisines as well as two bars, a podcast studio, a stage, and artists galleries under one roof. Two standouts worth noting are the concepts from chefs Maxcel Hardy and Genevieve Vang, both dishing up a lot of bold flavors from their respective 180-square-foot container spaces. Vang built a reputation for herself as one of the top purveyors of Thai food in metro Detroit. With this sister restaurant, she’s paying homage to her Hmong heritage through dishes that you would find in the streets of Bangkok as well as more modern takes such as pad Thai rolls and pizza. Over at COOP, Hardy brings the heat with jerk chicken wings and spicy cauliflower. Both have raised the bar on what bar food can be. A table at this highly anticipated restaurant from chef Anthony Lombardo, who cooked at top kitchens in DC and the famed Bacco Ristorante in Southfield before striking out on his own, is one of the hardest reservations to score (unless you like eating at 5pm or after 9pm). 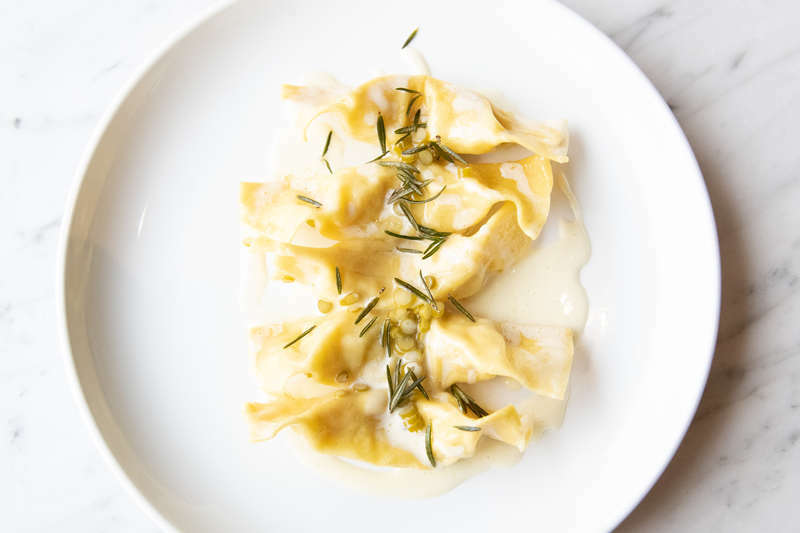 Lombardo packs a lot of flavors into every dish, from the Roman classics like cacio e pepe and carbonara to the pristine crudo and carpaccio, as well as well-executed fish entrees such as the acqua pazza -- red snapper in a robust and fiery red broth. The pasta is milled and made fresh in a glass-enclosed room to ensure maximum flavor, and even vegetables like tomato milanese and caponata get the star treatment. This is not your typical red sauce- and cheese-laden Italian joint. La Noria Bistro is the sister restaurant of Detroit's original “MexItalian” restaurant El Barzon. Like El Barzon, there’s a delightful mix of Mexican and Italian specialties on display here including mole and goat barbacoa (representing the former) and lasagna alla bolognese con besciamella and zuppa di mare con crostini (representing the latter). What makes chef Norberto Garita’s second spot different are the wood-fired pizzas like the original margarita, tartufo a fungi, and chapulin: a pie topped with tomato sauce, mozzarella, and chapulines (grasshoppers). Other dishes that marry the flavors of Mexico and Italy are the cemitas poblanas, filled with avocado, Oaxaca cheese, chipotle, and olive oil; and tortas, filled with beans, avocado, and meats such as breaded flank steak or chicken. Dorothy Hernandez is a contributor to Thrillist.